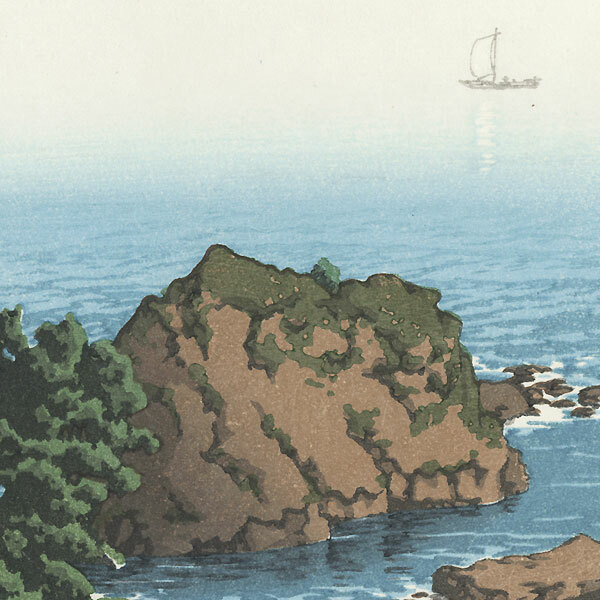 Twelve Scenes of Famous Places - Lovely print from a series of twelve landscape views originally designed by Hasui for the Haibara paper shop in the 1930s. The Tokyo publisher Kato Junji acquired the rights to the designs in 1935 and printed them in a limited edition of 300 sets. Luckily, the blocks survived WWII and were later discovered in the family warehouse of Takahashi Harumasa IV, who was the original printer for the series. 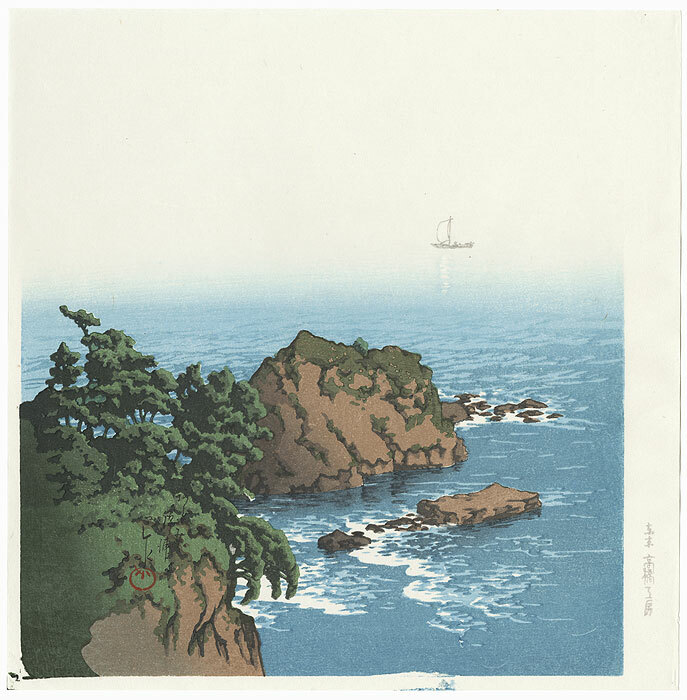 In 1988, the Takahashi family received permission from Hasui's daughter to produce a second edition of 200 by the publisher Ayumi shuppan, printed from the original blocks with slight modifications. These beautiful second edition prints faithfully reproduce the subdued colors and fine bokashi shading of the first edition. Since first edition woodblocks from the series are extremely rare, these great second edition designs are a wonderful option. Nishikiura Beach, Atami - Striking image of Nishikiura Beach at Atami, from a lovely aerial perspective looking down on the rugged cliffs lining the coast. Waves swirl about the rocks, creating ripples of white foam and lighter blue water. 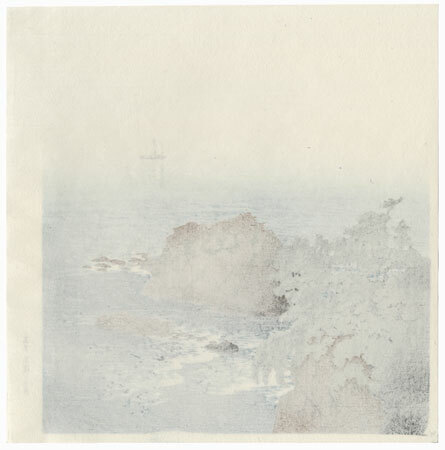 A mist hangs low over the water, with a single boat visible at upper right as the blue of the water disappears into the white sky. A fantastic design.